At ProHealth, our board certified clinicians are committed to providing the most up-to-date, evidenced-based physical, occupational, and speech therapy to improve the quality of life of our patients. In-home therapy allows individuals to recover in the comfort of their home while acquiring the physical abilities needed to complete daily activities and improve their overall wellness. 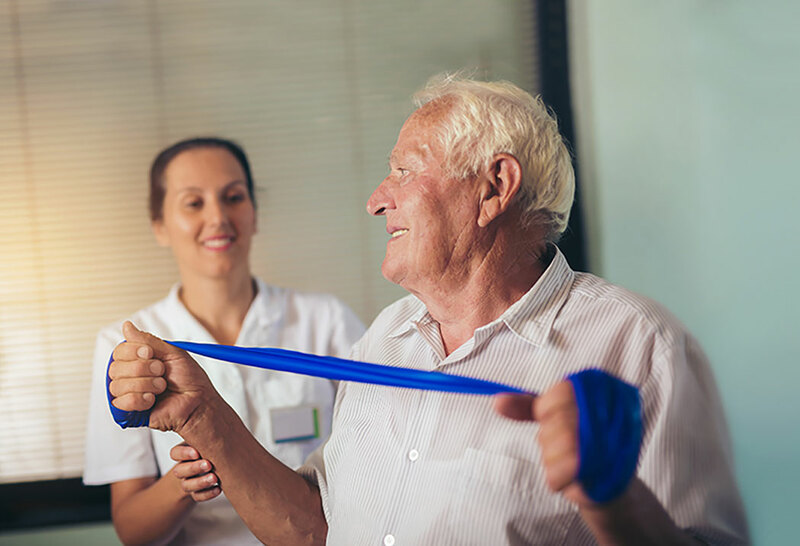 Through a comprehensive and individualized evaluation, physical therapists assess multiple components of an individual’s mobility and create a care plan that will aid in the patient’s recovery. Condition focuses may include deconditioning, tight muscles, dizziness, poor balance and falls. Physical therapists can also work with individuals to develop a fitness and wellness-oriented program for a more active lifestyle. Our speech-language pathologists use evaluations to focus on components of speech, language, social communication, cognition and swallowing skills. They develop customized care plans that address specific challenges a patient may face during a typical day to achieve the most positive outcomes. Occupational therapy focuses on an individual’s ability to perform daily living activities such as bathing, dressing, grooming, meal preparation, medication management, and home maintenance. Our occupational therapists design individual care plans based on the patient’s priorities and goals to improve coordination, maximize functional abilities, and master alternative techniques as needed. All therapy is completed in the comfort of the patient’s home. Who Can Benefit From In-Home Physical Therapy? to request services, make a referral or learn more about ProHealth’s in-home therapy services in Cleveland, Sandusky, and Toledo.